Stay up-to-date with rail news and industry happenings with our bi-weekly newsletter straight to your inbox. See the role freight rail and NAFTA play in the global economy. Mike Rush, AAR SVP of Safety & Operations, joined The Mobility Podcast to talk about the potential automated technologies have for transforming the rail industry, including through PTC. In a recent radio interview, Lisa Stabler highlights how the Transportation Technology Center Inc. develops technologies that make rail transportation safer and more efficient. America’s freight rail industry is one of the most efficient and cost-effective transportation networks in the world. Fueled by billions of dollars in annual private investment — averaging about $27 billion the past five years — railroads maintain and modernize the nation’s nearly 140,000-mile rail network to deliver for America. In 2017, Class I railroads’ operations and capital investments supported over 1.1 million jobs, $219.5 billion in economic output and $71.3 billion in wages, while creating nearly $26 billion in total tax revenues. One job in the rail sector supports eight others across the economy. Recent years have been the safest for the rail industry, with 2017 marking the lowest rate of track-caused accidents ever. Railroads train 20,000 first responders annually. More than 99.999% of all hazmat moved by rail reaches its destination without a release caused by an incident. Innovative technologies like ultrasound and drones allow railroads to inspect infrastructure and equipment with greater precision and frequency. America’s freight railroads continue to meet all Positive Train Control (PTC) deadlines. As the most sustainable way to move goods over land, a freight train, on average, moves one ton of freight 479 miles on one gallon of fuel. Moving goods by rail instead of truck reduces greenhouse gas emissions by an average of 75%. Global commerce is directly tied to 42% of rail traffic and 50,000 domestic rail jobs, worth $5.5 billion in annual wages and benefits. Railroads haul roughly 33% of U.S. exports, allowing U.S. industries to compete abroad while providing consumers access to a greater variety of goods. In 2017, freight railroads employed roughly 170,000 people — the vast majority of whom are unionized and earn an average of $125,400 per year in total compensation — 60% more than the average U.S. employee. The STB is a federal, bipartisan, independent adjudicatory board that has economic regulatory oversight of railroads. The FRA is an agency within the U.S. Department of Transportation that promulgates and enforces rail safety regulations. Railinc is a wholly-owned subsidiary of the AAR and is the leading provider of information technology, related network operations and financial services, and near rail-time network data to North America’s railroads. 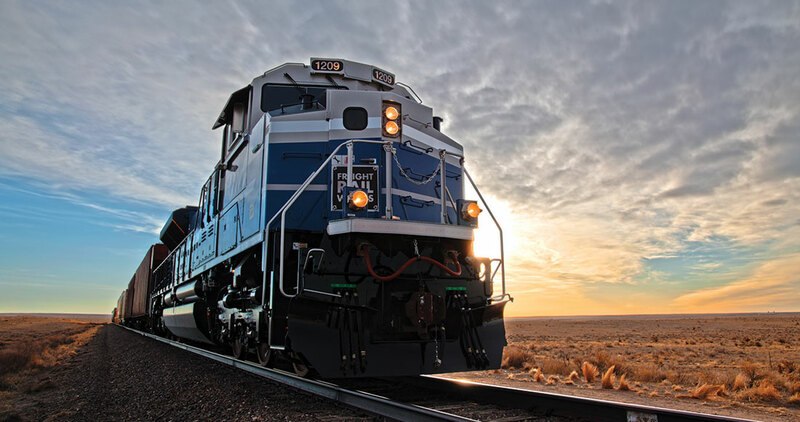 TTCI is a wholly-owned subsidiary of the AAR is and the railroad industry’s world-class rail research and testing facility that works to improve the safety and efficiency of freight railroads throughout North America and the world. GoRail works with thousands of community leaders across the country to tell the local story of freight rail — stronger economies, more jobs and cleaner skies. Founded in 1913, ASLRRA represents approximately 600 owners and operators of short line and regional railroads throughout North America. The LRIW is a professional association that advances the representation, recognition, and opportunities for women in the railroad industry by providing networking opportunities, sponsoring industry educational activities and supporting mentoring partnerships.